Last week I went to a family reunion, and I brought my little lappy along. I thought I might get someone in the fam (solid Mormon stock) to read a sample chapter and give me feedback. What happened instead is that I ended up reading a chapter aloud to a handful of adult siblings and spouses. I read the "Beverages" chapter. My older brother picked that one because he thought it would be the most salacious, and I suppose he's probably right. I try to write like a historian, which is to say, I try to be objective. Usually that means letting the sources tell the story, instead of me spicing it up with my own notions of how things were. But of course, objectivity is usually pretty boring. Everyone who sat in for the reading said that I should let my personality come out more. And also, they wanted more stories, less analysis. I guess that also means fewer recipes, since a recipe isn't a story. Certainly, that would appeal to more of a popular audience. But I'm setting my sights on Utah State University Press, which might mean that I have to play to a more academic audience. And that means objective, not salacious. Well, here's a little beverage related salaciousness for you. Mormon pioneer Lucia Eugenia Lamb Everett was passing through Iowa and she sent her grown son to a store near where they were camped. She wrote, “One of the boys called at the Kings Store in Iowa and enquired for a pint of brandy, the man filled the bottle, and told him the price was $1.00. He told him, ‘very well, you may turn it back on the cask as I don’t pay any such price, for brandy.’ This seems to be a fair sample of Iowa prices” Naturally, the Mormons also charged non-Mormons passing through Utah high prices when the tables were turned. Personally, I refuse to pay $1 for a pint of brandy. Why don't you just call the publisher and see how much personality you can get away with? If you're writing a historically accurate, objective book, there is nothing wrong with that. 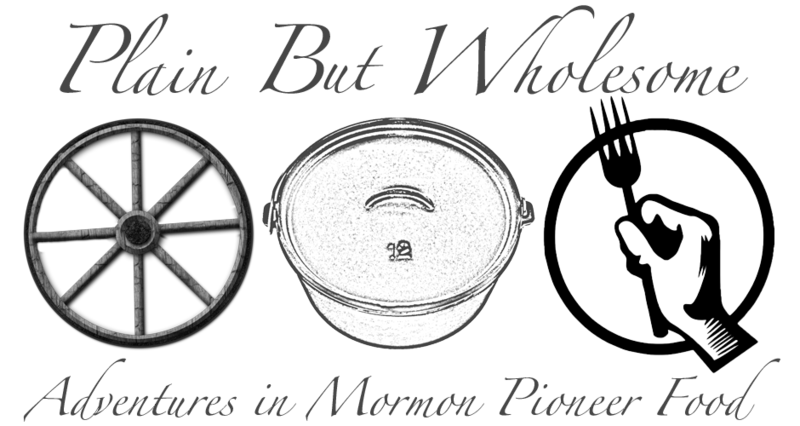 As with most things Mormon history, there is far too much non-objectivity on both ends of the spectrum and not too many truly objective sources, so it isn't a bad thing to have a good historically accurate objective book. Either way, your manuscript was great, and do it however you want. Have you tried switchel? It is surprisingly refreshing.